Terry Crew’s football career began at Flint Academy High School, his desire to continue playing football after high school led him to Western Michigan University where as a walk-on player he earned an opportunity to play on the team. Crews made the most out of that opportunity and went on to play four years at Western Michigan and was a three year starter for the team. As a Defensive End at Western Michigan Terry was named to the All-American Team by The National Strength and Conditioning Association. Over his college career Terry Crews recovered four fumbles which is one shy of a school record and recorded 12 tackles in a 24-12 victory over Wisconsin. His play on the field helped him earn 2nd Team All-Mid-American Conference honors. Crews helped Western Michigan win the Mid-American Conference Championship in 1988. In his senior season Terry had 42 tackles, 11 of which were for losses. 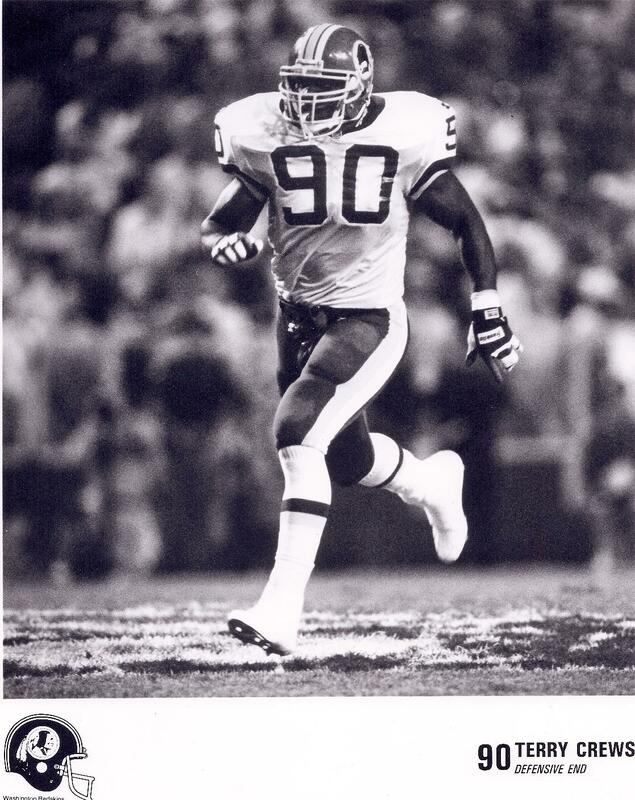 In 1991 Crews was drafted by the Los Angeles Rams in the 11th Round. From 1991-1997 he played for the Rams, San Diego Chargers, Washington Redskins and Philadelphia Eagles. As a rookie with the Los Angeles Rams he played in 10 of 16 games on special teams. Terry Crews also played in the World League of American Football. After retiring from the NFL Terry Crews moved to Los Angeles to pursue a career in acting and has acted in over 70 films and television shows in a career that spans over 20 years. Terry Crews has been nominated for several awards including eight NAACP Image Awards and a Screen Actors Guild Award. In 2017 Terry Crews was part of a group of people that were named TIME Person of the Year for 2017. Terry Crews you are the true definition of being “Flint Strong”! You have made Flint proud, welcome to the Greater Flint African-American Sports Hall of Fame!